Do you lose your cool? Do you have problems with road rage? Do you turn the anger you feel in on yourself? Do you seem to be angry all the time? Do you explode in anger? Do you tell yourself to "Just get it all out"? 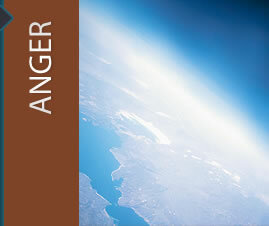 Anger is a feeling, just like any other feeling or emotion telling us something is wrong. It can range from mild irritation to intense fury and rage. It is a secondary feeling, meaning that there is a core feeling that is either hidden or not wanting to be expressed. Like other emotions, it is accompanied by physiological and biological changes; when you get angry, your heart rate and blood pressure go up, as do the levels of your energy hormones, adrenaline, and noradrenaline. The goal of anger management is to reduce the harm caused by your anger by gaining control of your anger and learning how to get your needs met in more-constructive ways. You can't get rid of the things or the people that enrage you, but you can learn to control your reactions.